Liaquat Road,Opp. Liaquat Bagh Rawalpindi. 65 air-conditioned rooms with baths. 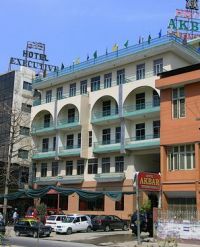 Hotel Akbbar International is situated in the central district of Rawalpindi. The hotel is a nice 2 star hotel. 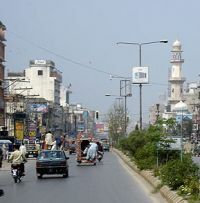 The location of the hotel is close to Raja Bazaar & Murree road. Akbar Hotel International offers a conference & wedding hall for upto 150 guests. The restaurant has a capacity of 50 guests. All governement taxes and our service charges. Hotel Akbar International in Rawalpindi, offers above rates only to Hunza tours. The online reservation payment must be made to Hunza tours not the hotel. Book your events, Meetings, Conferences Marriage parties at Hotel Akbar International or any other hotel in Rawalpindi please feel free to email us we will offer you the best possible rates and perfect arrangements to suit your events.